Why not take the most used retail platform in the world and see what could be improved? That’s exactly what we have done. We added more than 500 instruments from 9 asset classes to the MT4 platform - including forex, precious metals, indices (cash & futures), stocks, cryptocurrencies, bonds, ETFs and ETNs, and commodities. What’s more, with MT4+ you will be connected via a pure Agency Only Model to 20+ LPs (Tier1 Banks, Non-Bank LPs and MTFs) - a just fair and direct way of trading! Along with our world-class IT infrastructure, optimised server technology and ultra-fast connectivity (hosted at Equinix LD4 and NY4), what you get is a comprehensive and desirable upgrade, which also includes our exclusive package of JFD MT4+ Add-Ons. With this wide range of sophisticated trading tools, you will always be one step ahead of other traders. It’s time to rediscover the MetaTrader! 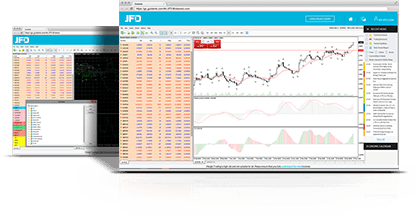 MT4+ DESKTOP & EXCLUSIVE JFD ADD-ONS! We have enhanced the most popular and established multilingual platform globally to include a unique package of benefits and useful add-ons. Now you can discover why MT4+ is the preferred choice for traders across the world, who want to access all asset classes and execute with speed, reliability and efficiency. Note: To download the Desktop version of MetaTrader 4+, you will first need to register an account. 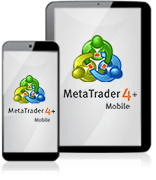 Fast and secure, and with no software to download, MT4+’s WebTrader is the convenient choice for traders who want to access the MetaTrader 4+ platform from any device, at any time. Receive the same JFD trading conditions, and get access to the latest news from JFD Research, enabling you to stay updated on the markets! 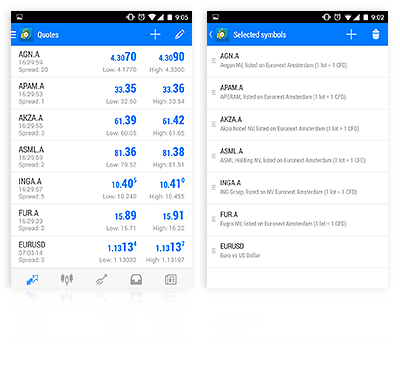 We are proud to have released the first 100% DMA/STP Agency Model mobile trading app solution, powered by Metaquotes, allowing you to trade on our popular MT4+ platform anytime, anywhere. Use your iphone, ipad, or portable android device, and gain access to financial markets globally. Access all tradable instruments offered by JFD. 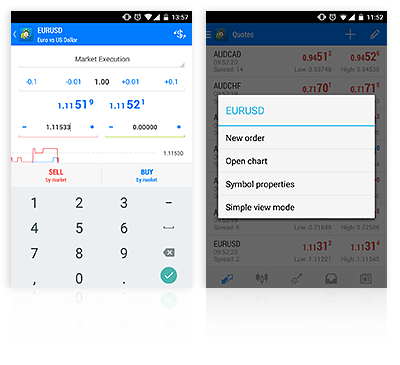 It makes no difference, which of our 9 asset classes you are actively trading, or if you just need to monitor your open positions: a world of possibilities is now available with JFD' MT4+ Mobile app. There may be many other mobile apps available out there, but none provide such levels of market reach, cutting-edge backend technology and competitive terms! By trading directly from real time charts you can receive all the information about the actual spreads and price movements, Tick by Tick, whenever and wherever you happen to be. Use all of the available possibilities whenever you wish. Besides market orders, you can benefit from Buy & Sell limit orders, as well as Buy & Sell stop orders, while on-the-go. 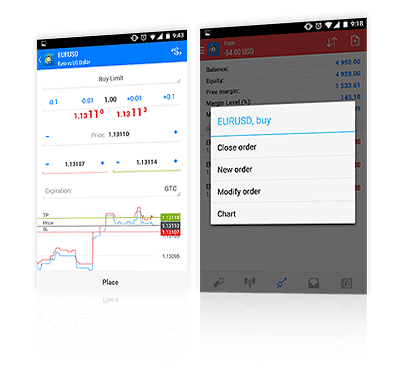 Take Profit and Stop Loss orders can equally be placed and modified as you trade on the move, through our MT4+ Mobile app. Besides the various chart settings, you can view the current market prices. Use the lists with the prices of the instruments to receive an overview of the price movements of your favorite instruments. Keep a close eye on your account with real time estimations of your margin, balance and equity, so that you are always up-to-date! For you to take full advantage of our unique specifications, we created JFD Multi Account Manager (JFD MAM), a simple yet powerful addition to our platforms which allocates trades from any number of master accounts to any number of sub-accounts, automatically in real time. 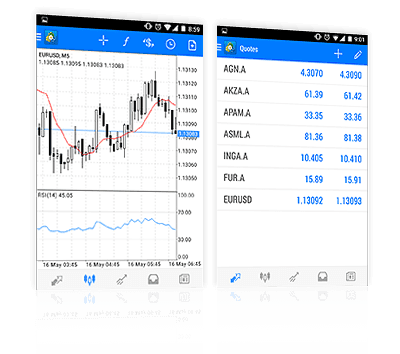 JFD MAM works within the MetaTrader environment and is compatible with any method of trade generation, including manual trading, EA trading, mobile trading and Custom & FIX API. Whenever deposits or withdrawals are made into your sub-accounts, these are reflected in your master account. Our system can significantly increase efficiency while minimising risk. 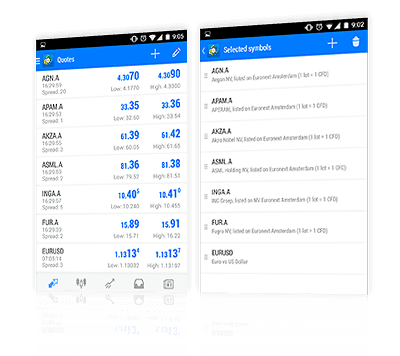 Indeed, the advanced functions of JFD MAM allows you to remove accounts from the allocation group without closing any master trades or restarting the MetaTrader server. StereoTrader is now here to change the way you trade for the better. This addition to JFD’s MetaTrader 4+ completely transforms the platform’s layout, giving traders access to more information, commands, order types, and a multitude of special features. Allowing both manual and automated trading, StereoTrader expands your arsenal better than any other MT4+ add-on ever could. 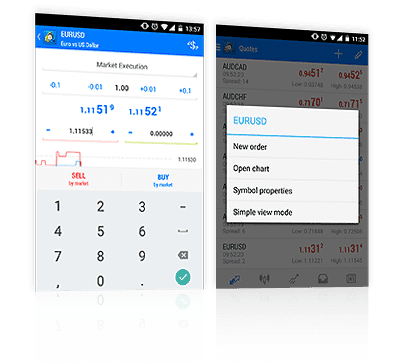 You can get the StereoTrader add-on and benefit from all its useful features for the exclusive price of only 29.90€ per month. Revolutionise your MetaTrader 4+ experience and explore the unlimited possibilities that StereoTrader offers! For more information, please check out our FAQ StereoTrader. 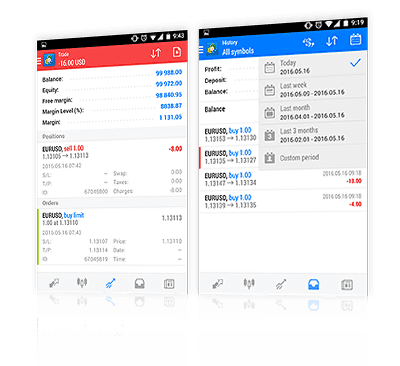 MetaTrader4 (MT4) is an electronic trading platform on which you can trade forex, precious metals and CFDs on stocks, bonds, commodities, cryptocurrencies, ETFs and ETNs, and indices. MT4+ is a proprietary software that you can install on your computer. In addition, you can allow automated trading systems, otherwise known as Expert Advisors (EAs – see below for explanation) to trade via the platform. Is there a JFD MT4+ User Guide? click here for our MT4+ Desktop manual. 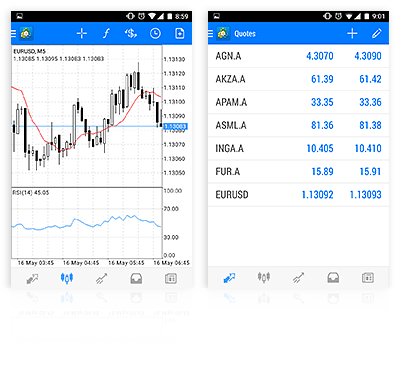 click here for our MT4+ Android manual. click here for our MT4+ iPhone manual. What is the difference between MT4 and MT4+? JFD’s MT4+ is an enhanced version of MT4, branded with JFD’s proprietary design, offering an exclusive Add-Ons package, and pre-installed unique trading tools. JFD has taken MT4 to the next level, to offer its sophisticated traders an advanced level of trading, with access to 500+ instruments in 9 asset classes, through a pure Agency Only model, with a variety of unique benefits, supported by a high-end IT infrastructure, with performance optimised servers cross-connected to ECN/Banks. What is the difference between MT5+ and MT4+? Click here to see the differences between the two terminals on our platform comparison page. You can also view our tutorial videos to find out the main differences between the tools on MT5+ and MT4+. How can I download MT4+? 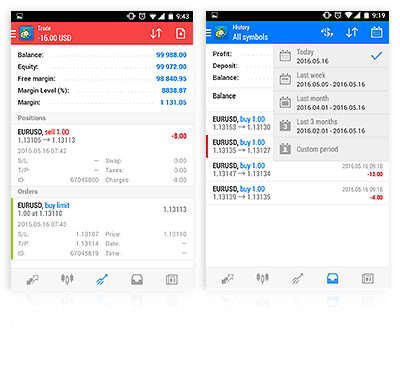 To download the MetaTrader 4+, you need to open either a Demo Account or a Live account with JFD. If you already have a Live Account, you can find the download link for the platform in your personal MyJFD area. What minimum requirements does my computer have to meet to use MetaTrader4+? The latest client terminal can operate under Microsoft Windows 7/8/10 and Microsoft Windows Server 2008/2012/2016. A processor that supports SSE2 instruction sets is also required for operation. Other hardware requirements depend on what instruments and EAs you are going to use. We recommend to have at least a Dual Core processor with 2 GB RAM and a monitor with a minimum resolution of 1024x768. Expert Advisors are automated trading systems based on the MQL programming language. EAs are used to automate analytical and/or trading processes. For example, EAs are able to execute entire trading strategies completely independently. Most EAs require that they are placed on the chart that correlates with the currency pair/s being traded, however it is possible for some EAs to work on a chart that does not correlate with the currency pair/s being traded. It is very important to note that an EA will only operate when the platform is open. If the platform is closed this will turn off the EA. If you want to ensure that your EAs are continuously running, independent of your computer and internet connection, we offer a VPS solution. Note: EAs are automated trading systems that were developed by third parties. JFD does not assume any liability whatsoever for losses caused by employing these EAs. How can I program EAs? To create your own EAs (automatic trading systems) and indicators, you need to use the programming software included in the platform called MetaEditor. This can be started from Tools/MetaQuotes Language Editor or by pressing the F4 key. This software provides an appropriate integrated programming environment, from which you can develop your own EAs. How can I have an EA trading on my live account? The EA must be saved in the correct folder. This folder is located by going to the top Left of the platform and clicking on File, Open Data Folder, MQL4, Experts. After any new EA or Indicator is added to the platform it will be required to close and restart the platform to make the new tool visible. Open the Navigation window and pull (drag and drop) the EA onto the chart. Should the EA contain DLLs, you need to activate (by ticking) the box Enable import of DLLs within the Options menu. Normally any included DLLs will need to be placed in the Libraries Folder that is also located in the MQL4 folder. To turn on the EA please click the Expert Advisor button which appears in the upper section of the platform. You should now be able to see a 'smiley' face in the top right-hand part of the chart which means that the EA is now running. Note: EAs are automated trading systems developed by third parties. JFD does not assume any liability whatsoever for losses caused by using these EAs. 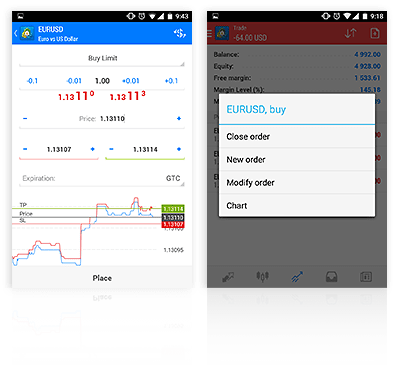 Can I use Add-Ons, Indicators and EAs on the MT4+ WebTrader or MT4+ Mobile App? Our exclusive MT4+ Add-Ons and Indicators package is currently only available in our MT4+ Desktop version, however you can use the built-in indicators that are already pre-installed. Unfortunately, it is not possible to use custom indicators or Expert Advisors on MT4+ WebTrader or Mobile Apps. A custom indicator can be any indicator that was developed and programmed for use with the MT4 platform using MetaEditor, and the MQL programming language. Indicators are used as informational tools for trading, and each indicator can be used for a different purpose. What order types does MT4+ offer? Note: The platform does not need to be open in order for pending orders or closing options to work. These order details are stored on the trade server and are not dependent on the MT4+ platform. What happens to a pending order when I close MT4+ Platform? The pending order is stored on our servers and remains active and will be executed as soon as the market reaches the relevant price. This happens regardless of whether your MT4+ Client Terminal is open or closed. What is the default time zone used by JFD’s MT4+? Our MT4+ platform is based on London Time. Can I use MetaTrader4+ on a Mac? Yes, there are two options to do so: use the WebTrader or one of our VPS providers.